MIAMI _ Henry Briceño, a geologist and professor at Florida International University’s Southeast Environmental Research Center, is so concerned about the rising sea level around Miami Beach, he independently began to sample the water when the local roads become flooded during high tide. In Miami Beach, it has become normal for streets like Alton Road, a major artery lined with businesses, to flood on a sunny day. When the tide rises in the bay, it comes up through the storm drains and gutters, flooding local streets. “I’m analyzing those waters to know what’s in there. Is there any problem for the community?” he said. So far, Briceño is not happy with what he’s found. The water has a high concentration of nutrients such as nitrogen that signal its quality poor. His unfinanced project hasn’t begun to test for bacteria yet, but he is certain he will find some. Briceño sees this as a direct impact of climate change and global warming. “Our cities are going to get flooded, people are going to get displaced,” he said. Briceño spent much of his childhood on a farm in the countryside of Venezuela. He studied in the U.S. and taught at the Central University of Venezuela for 30 years before settling in Miami. Since he arrived 12 years ago, the landscape of South Florida has changed and it’s alarming him. The climate changes in cycles that last thousands of years, explained Briceño. Twenty thousand years ago when we had a glaciation period characterized by colder temperatures and glacier advances, the sea level was 300 feet below the actual one. If you were on a boat traveling to Miami from the Bahamas, you would have come across a 300-foot wall of earth reaching the top of Biscayne Bay with trees and rivers and a waterfall running down to the ocean. And 100,000 years ago, when we last had an interglacial period characterized by warmer temperatures, melting Antarctic glaciers and rising seas, Florida’s shoreline was up to Lake Okeechobee, about 90 miles northwest of Miami. “Those are natural cycles. But what we have done with natural cycles is accelerate them. That’s the problem,” Briceño said. Recently, two groups of scientists from NASA and the University of Washington concluded the collapse of the West Antarctic ice sheet has already begun, and it’s causing sea levels to rise faster than scientists had predicted. Some areas could see a 13-foot sea level rise, devastating coastal cities. Miami is one of the areas in the U.S. most vulnerable to severe damage due to the rising sea level, according to a recent study by the National Climate Assessment. With a bleak future ahead, the city of Miami Beach has made rising sea level an urgent issue and is at the frontline of a battle against climate change. The city is in the midst of a $400 million project to tear up streets and install pumps and piping to help alleviate drainage from the tidal floods. “This will keep us dry for 40 to 50 years,” said Jimmy Morales, Miami Beach city manager. He said it’s a horrible thing to see what’s happening in the city where he was born and raised. In 2013, a delegation from South Florida, including city officials and academics visited the Netherlands, a country where 26 percent of the land lies below sea level, to learn how the Dutch have coped with water management. But the delegation quickly realized the 10,000 miles of dikes they have in place wouldn’t work in South Florida because it sits atop porous limestone, which absorbs water and allows seawater to rise easily onto the streets. “It’s not just porous, it’s permeable. The holes are connected,” said Briceño, who traveled to the Netherlands. Ninety-seven percent of scientists agree that human activity is causing the planet to warm, and there is consensus that reducing fossil fuel emissions is the best way to stem the most dangerous effects of global warming. Among Florida local and national legislators, there is a lack of unity on how to tackle the issue. Sen. Bill Nelson, D-Florida, has called Miami Beach “ground zero” for sea level rise and supports reducing carbon emissions, even if it comes with an economic price tag. Last month, he hosted a rare field hearing at Miami Beach City Hall to draw national attention to the effects of climate change. Sen. Marco Rubio, R-Florida, recently came under fire for saying he does not think human activity is actually causing dramatic changes in climate. He said he wouldn’t back laws that raise the cost of fossil fuels because he does not think they would have much of impact with countries like China and India producing so much carbon fuels and not implementing similar curbs on fossil fuels. George Gonzalez, a political science professor at the University of Miami, said it would make sense for local lawmakers to be aggressive about limiting carbon emissions. But several in the Republican party have taken a climate change denial position, “There’s a national party that makes them stay silent - so this makes it difficult if not impossible for party officials to stake out a position against the party,” Gonzalez said. 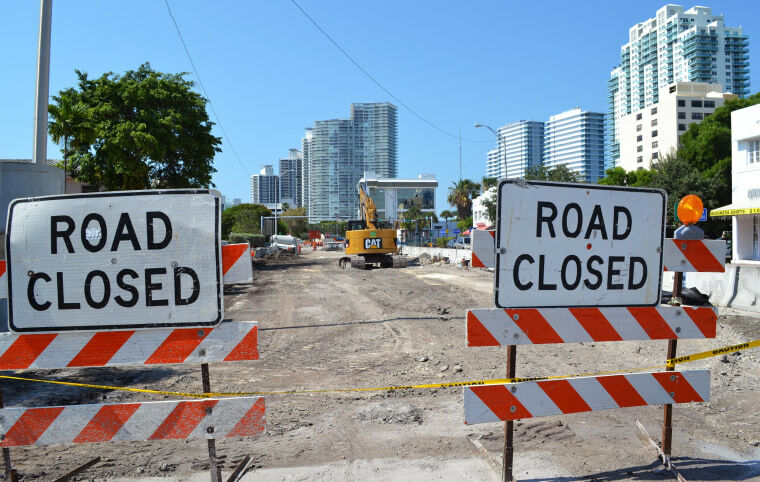 Additionally, legislators may feel they are undermining Miami’s economy by drawing negative attention to South Florida’s lucrative real estate market, Gonzalez said. Rep. Joe Garcia, D-Fla., said a solution to climate change is far more important than its origin. “We have a unique opportunity to be proactive on this issue - whether through legislation, or by other means,” he said in an emailed statement. Reps. Mario Diaz-Balart, R-Fla. and Ileana Ros-Lehtinen, R-Fla., did not respond to requests for comment on the issue. At a local level in Miami, public officials have come together in a bipartisan way and established the Southeast Florida Regional Climate Change Compact. Despite the dire warning of scientists and some local officials, Miami-Dade County’s 64 percent Latino population is more focused on the economy and immigration, said Casey Klofstad, a political science professor at the University of Miami. But most legislators are not making this a campaign priority in the Latino community, she said. “I don’t really see climate change as a major issue in forthcoming elections for this constituency,” Klofstad said. At a more local level in Miami, public officials have come together in a bipartisan way to work together on water management and other effects of climate change when they established the Southeast Florida Regional Climate Change Compact in 2010. This includes the counties of Miami-Dade, Broward, Monroe, and Palm Beach. “We thought that - politics aside - we’re all in this together,” said Deede Weithorn, a Miami Beach Commissioner and past President of the Miami-Dade League of Cities. Weithorn said dealing with water management is extremely complicated. The flooded waters are pumped into huge storage tanks underground, treated and then pumped back into the bay. “I wonder if politicians in Washington know how complicated this is. Our ecosystem is so delicate. The good news is, we get it,” she said. Briceño said he finds almost insulting the lack of action and denial from politicians on the need to take significant steps on climate change. “I don’t understand how overnight, through magic, these politicians became climatologists, geologists and geographers and they negate the knowledge which has been produced by the best scientists around the world,” he said.